Seamlessly capture wholesale orders, collect payments & manage inventory. Brandboom makes it enjoyable for buyers to order online from your interactive Brandboom Linesheets and Lookbooks. 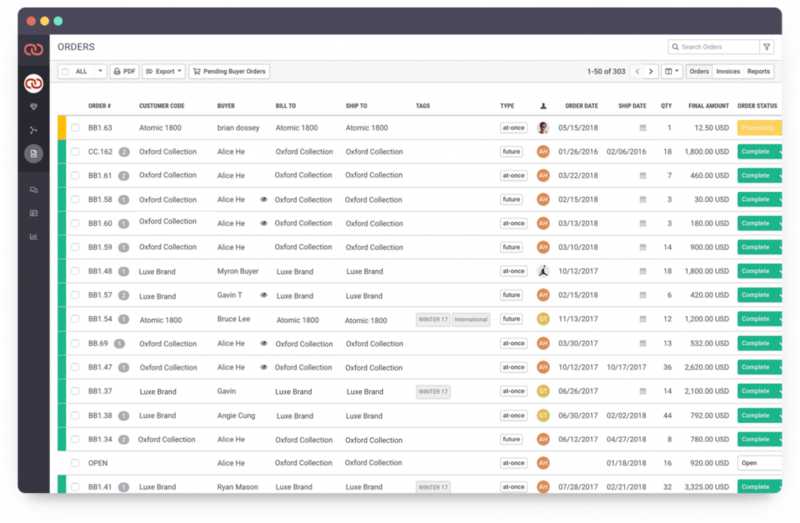 Easily collect orders online from presentations, send buyers open orders with pre-selected products, or enter handwritten orders for processing. 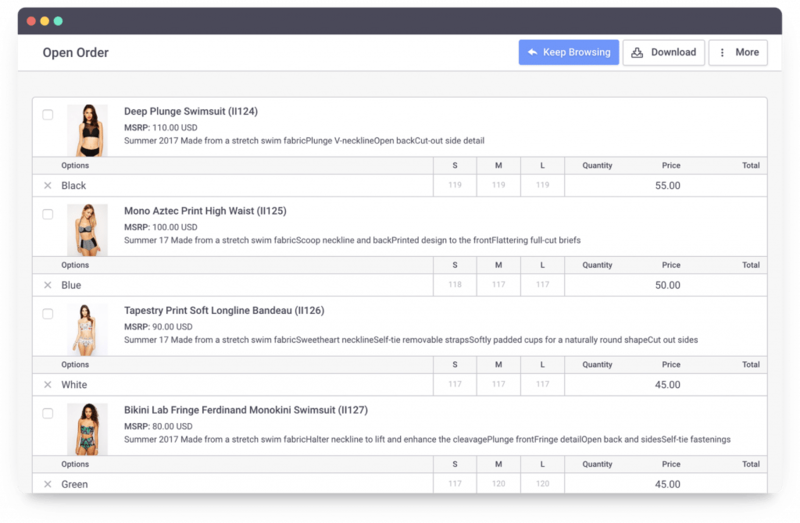 Track, analyze, & optimize your linesheets, pitches, and sales. Manage your data seamlessly with our software, or build custom dashboards with our API. 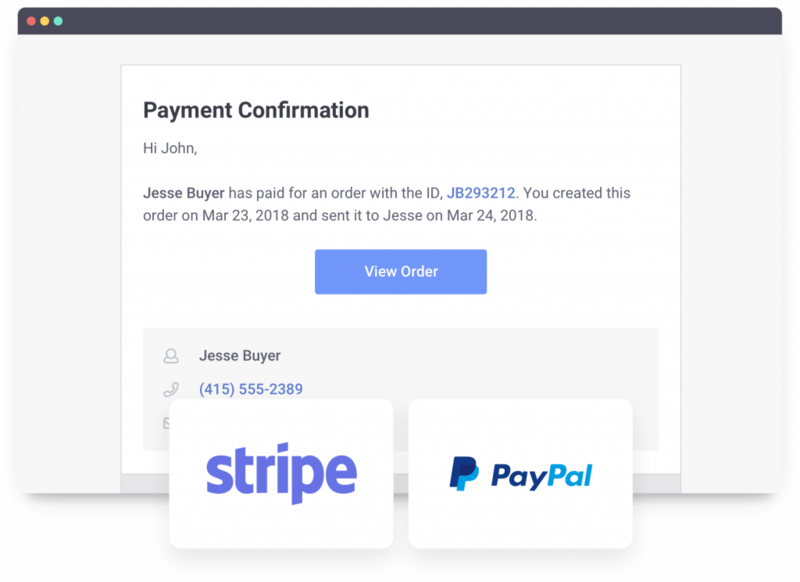 Process invoices and collect payments from buyers hassle free via our integrations with Paypal and Stripe. Make edits to orders in real time; automatically trigger notifications to update your buyers on order status.